The algorithms used for simulating biologically-inspired spiking neural networks (BIANN) often utilize functions which are computationally complex and have to model a large number of neurons – or even a much larger number of synapses in parallel. To use all available computing resources provided by a standard desktop PC is an opportunity to shorten the simulation time and extend the number of simulated neurons and their interconnections. 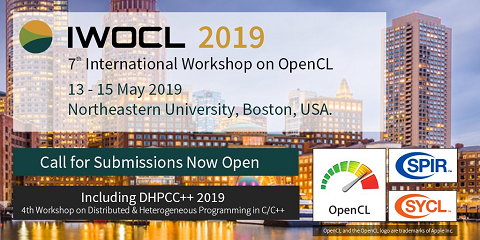 OpenCL offers an open platform for heterogeneous computing to employ CPUs, GPUs, DSP or FPGAs in an uniform way. This paper introduces a handy simulation framework being sufficient to accelerate different kinds of neural networks with off-the-shelf hardware. To illustrate this, different large networks comprising a complex synaptic model in combination with a leaky Integrate-and-Fire neuron model are implemented as standard Matlab code and with OpenCL separately. In comparison to the Matlab model, OpenCL reaches a speedup of on a quad-core processor and of on a GPU.